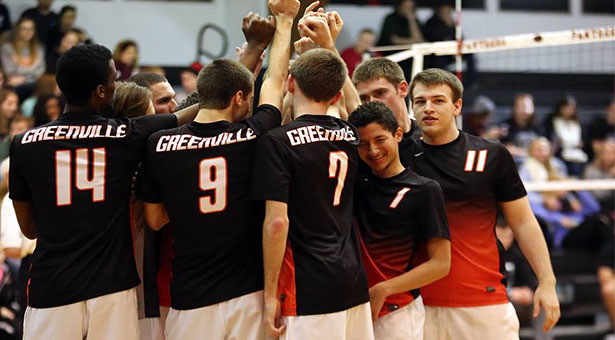 Men’s volleyball may be new to Greenville College, but these young men definitely know how to please a crowd. 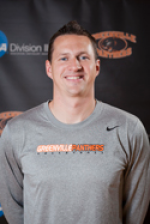 Head Men’s and Women’s Volleyball Coach Tom Ackerman, Assistant Men’s and Women’s Volleyball Coach Ivan Estevez and the GC Athletic Department have worked very hard to get this program running and it is looking like their efforts are paying off. 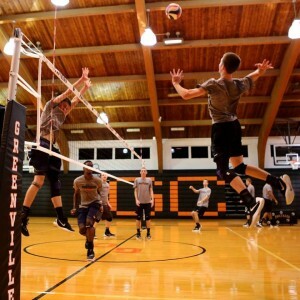 The Greenville College Men’s volleyball team is currently 5-2 in their inaugural season and have already named freshman Daniel Bilinski as MCVL player of the week. Starting a sports program from scratch can be a very daunting task, especially when it comes to building a new team culture. In order to create healthy relationships among his players, Ackerman has made it possible for quality bonding time through team building curriculum, interaction with the women’s volleyball team and spending time together outside of practice and games. “Cultures are hard to build and we are doing all we can to make sure things start off on the right foot,” states Ackerman. When asked about goals for the team/program, Coach Ackerman replied, “We want to win 12 matches and finish in the top eight of our conference. Those are huge goals for a first year program, especially since we play in one of the toughest conferences in the nation. We currently have three teams ranked in the top 15 in the nation. That is crazy.” What do you think? Are those goals too big for a new program? After the success that the women’s volleyball program has had over the past few years, I think it’s safe to say that if any coach can reach those goals, it’s Coach Ackerman. Come check out the GC Men’s Volleyball team for yourself as the Panthers take on the Carthage Red Men in their next home match Friday, Feb. 12, at 7:00 p.m. in H.J. Long Gymnasium. See you there!